Are you using version 5.7 or v8 of concrete5 and are looking for a low-risk, minimal cost and straightforward way of adding eCommerce functionality? With the eCommerce with Snipcart add-on you can quickly and easily add eCommerce to your concrete5 5.7+ website, using Snipcart to process orders and payments. Snipcart is a shopping cart platform that cleanly integrates with websites, with no setup fee and low cost transaction fees. Snipcart provides a shopping cart and checkout/payment system, while the products themselves are defined on your site. The eCommerce with Snipcart add-on quickly sets up the required scripting with Snipcart and provides blocks to display a cart and manage product details. 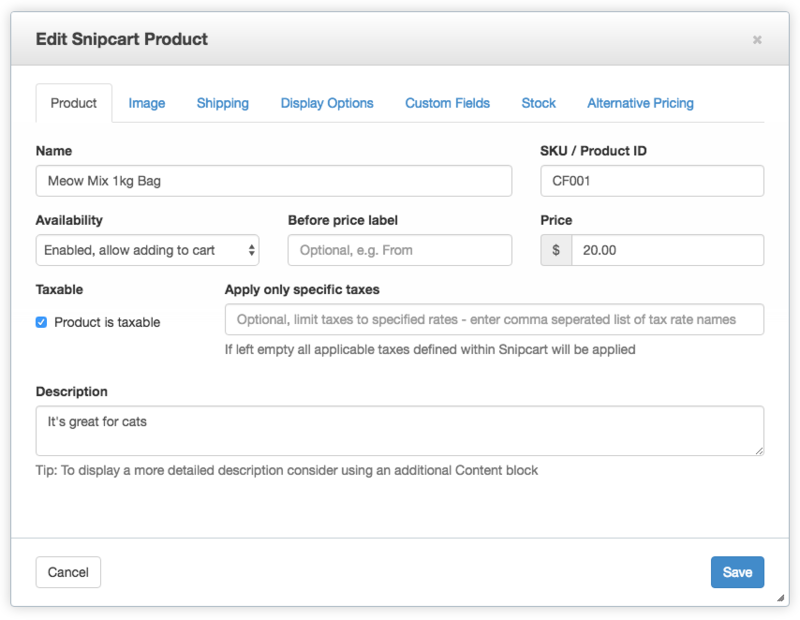 The eCommerce with Snipcart add-on integrates with Snipcart, taking care of all coding tasks. It features both a Cart block and Product block, to allow you easily add products for sale and enable the checkout mechanism. Please note - this add-on is not affiliated with Snipcart, the add-on is simply providing a way to utilise this third-party service. Therefore, Snipcart specific questions or issues may need to be directly put through Snipcart's support. Do you need Snipcart products to create user accounts and assign permissions? Check out the complementing membership add-on.